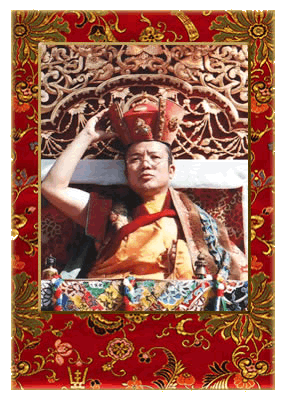 THE GREAT LAMA Chokyi Gyaltsen (1377-1448) was the first to bear the title Tai Situ, which means "far-reaching, unshakable, great master, holder of the command." 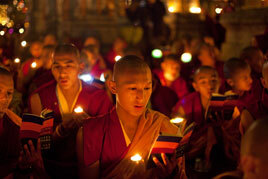 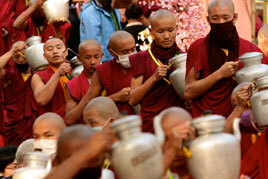 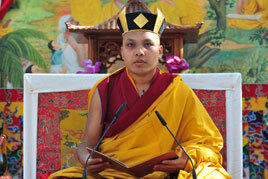 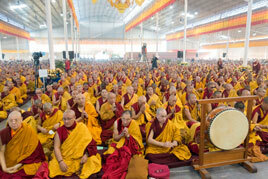 The current, Twelfth Tai Situpa was born in 1954 to a family of farmers in the Palyul district of the Derge Kingdom. 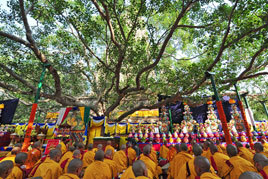 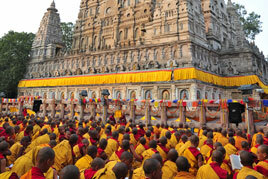 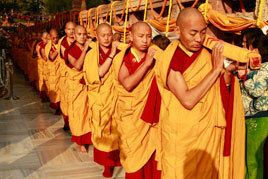 He was traditionally recognized and enthroned at Palpung Monastery at the age of eighteen months. 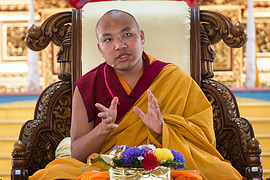 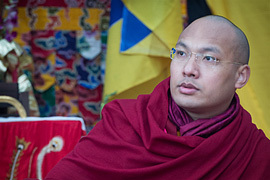 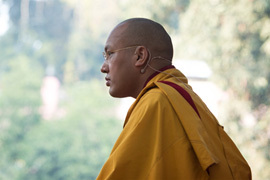 Karmapa. 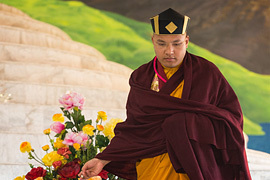 He received his formal religious training under the guidance of the Sixteenth Karmapa, until 1975, when at the age of twenty-two, he assumed his own traditional responsibilities. 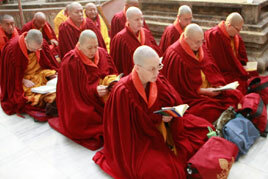 He established his first monastic project, called Sherab Ling, at the request of his Tibetan followers who had settled in northern India. 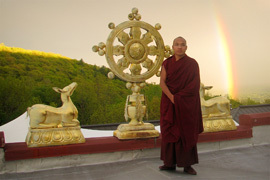 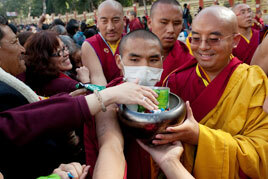 In 1980, Tai Situpa made his first tour to European countries at the request of Buddhist organizations. 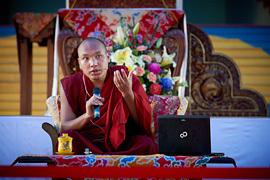 Since then, he has traveled widely in North America, Europe and Southeast Asia lecturing on Buddhist philosophy and meditation. 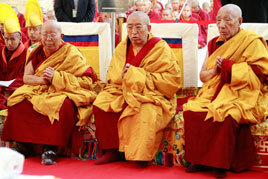 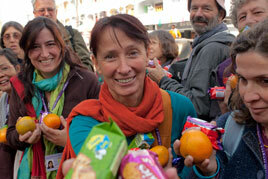 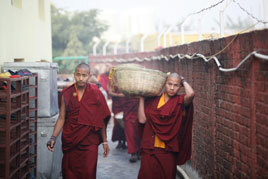 He founded Maitreya Institute in 1984 in response to Western interest in multicultural activity and spirituality. 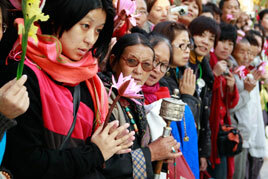 Tai Situpa visited his homeland, Tibet, in 1984, for the first time since fleeing the communist invasion. 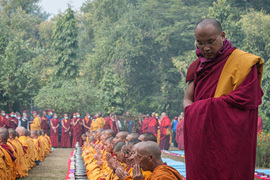 During his visit, he ordained more than 2,000 men and women and presented to the Chinese authorities a plan for the rebuilding, preservation, and propagation of the Tibetan Buddhist culture. 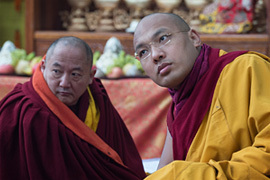 His Eminence was instrumental in the identification and enthronement of His Holiness Ogyen Trinley Dorje, the Seventeenth Gyalwang Karmapa, head of the Karma Kagyu Lineage. 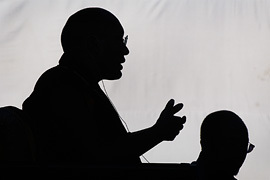 Currently, His Eminence is involved in the advancement of interfaith and intercultural humanitarian efforts around the world. 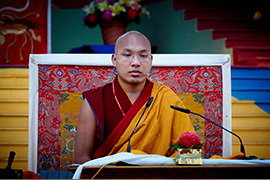 A more extensive biography of the Twelfth Tai Situpa can be found here.